Check out Part 1 of this article for more nutrition myths. Looking for weight loss and overall health in the digital age can be a mixed blessing. Technology, on one hand, is a threshold to endless potential weight loss diets, nutrition facts, health and fitness approaches. But, on the flip side, it can be difficult to know what to follow and what activities could supercharge your health and fitness. Myth#6: All sugars are bad. Fact: Go for natural sugars over artificial sugars. Natural sugars are already present in whole foods, such as milk (Lactose), plain yogurt (Lactose), and fruits (Fructose). Natural sugars are a better alternative to added sugars as they are packed with health-promoting nutrients such as calcium, iodine, magnesium, potassium and fiber, along with natural sugars. Added sugar sabotages your metabolism leading to heart disease, type-2 diabetes, cancer, weight gain and other inflammatory diseases. You will be surprised to know that, even if you don’t eat sweetened foods like dessert and cookies. your foods have hidden sugar in it. Added sugars present in your diet include high fructose syrup, maple syrup, honey and glucose. Around 70% of processed and packaged foods (breakfast cereals, soups, flavored yogurt) have added sugar in it. As per a CDC report (1), 14% of total calories are comprised of added sugars in the Western diet. Consumption of added sugars should be less than 10% of 2000 calories/day (<200 calories). According to the American Medical Association, 6 teaspoons of sugar (25g) for a woman and 9 teaspoons of sugar (36g) for a man is enough to add sweetness to your diet. 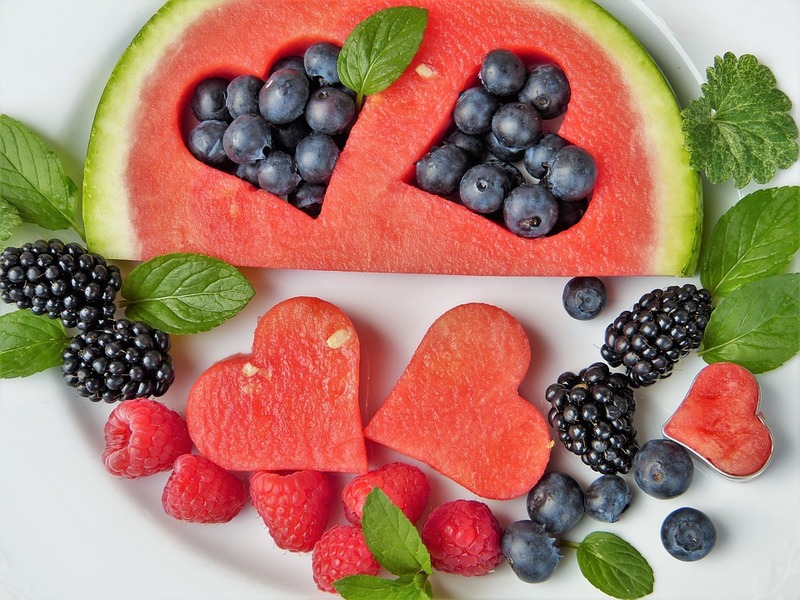 The Takeaway: Try to add fruits to your breakfast for sweetness. Buy plain oats over flavored oats, which are loaded with added sugar and excess sodium. Also, you can enhance your meal with the addition of plain yogurt, not flavored yogurt. Then you can enjoy more natural sugars. Reconsider your diet and lifestyle. Myth#7: Drink 8-ounce glasses of water daily to stay hydrated. Fact: Our body comprises of 60% of water. You can’t store water; you need to continually replenish your body with water throughout the day. Drinking those bland and boring 8-10 glasses of water is now revamped to include flavor-infused water, along with herbal tea and green tea. Along with a glass of water and beverages (tea, coffee), you can add foods rich in water. Water-rich foods (pineapple, strawberry, celery, watermelon, oranges, and spinach) not only keep you hydrated, but are packed with vitamins, minerals and antioxidants. During summer, you can drink smoothies that have a blend of fruits, vegetables, and healthy fats for a morning go-getter. Myth#8: Organic foods are better than conventional foods. Fact: Despite the high prices of organic foods, its consumption has increased over the last few years. Organic, as the name suggests, means more natural, ethical, and healthy, without artificial GMO seeds, pesticides, and fertilizers. We tend to buy organic foods as they are touted to be high on antioxidants, vitamin C, and omega-3 fatty acid. There is mixed evidence about it. Hence, there’s not a significant difference in its nutritional value compared to conventional foods. Organic cultivation has less use of pesticides, like sulphur, natural vegetable oils, and copper sulphate. Toxic content in any food depends on concentration and vulnerability of toxins, not on how natural that food is grown. The Takeaway: A healthy eating approach boils down to two factors viz. expectation and personal choice. Research says to include more fruits and vegetables in your diet to attain health benefits. Buy locally grown foods that are in season to avail every nutrient. Myth#9: Multivitamins protect you from diseases. Fact: Multivitamin intake should never interfere with a nutritious, varied and regular diet. Consumption of multivitamins daily for disease prevention is a double-edged sword. As per Harvard led Physician Health study for a period of ten years in 1000 men showed that multivitamins lowered the risk of developing a diagnosis of cancer by 8%, but not death. The physicians in the study had a more nutritious diet, were more physically active and were involved in less unhealthy routines compared to the general population. 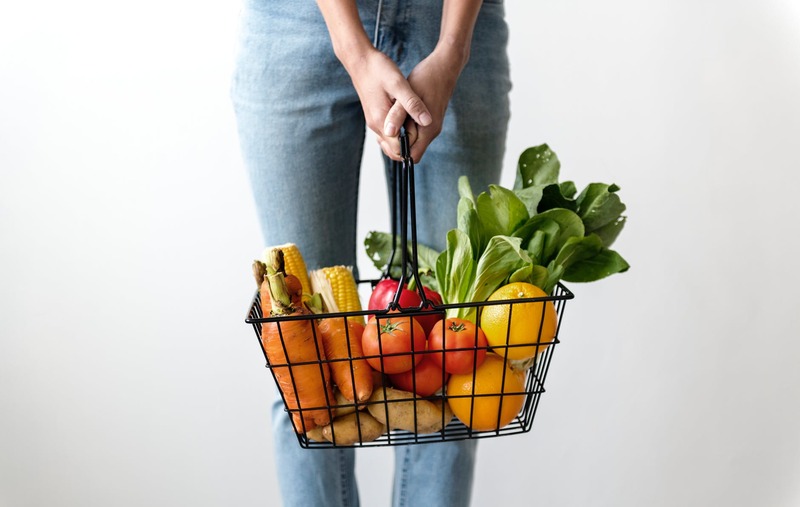 The Takeaway: More than spending time and money on supplements, focus on getting essential nutrients from healthy foods that are seasonal, locally grown and home-cooked. According to the American Medical Association (AMA) and the American Cancer Society (ACS), a healthy diet is superior to taking a multivitamin. If you already eat a healthy diet, you are less likely to benefit from extra multivitamin pills, says Dr. Kormos. Overall optimal health is not based on a single nutrient, rather a synergy of varied nutrients from the food we eat. But, people who eat a vegan and a vegetarian diet, vitamin D may be recommended if the intake cannot be met through foods. Vitamin D supplements (600-800 IU) are good, as sources of vitamin D are of animal origin (such as tuna, fatty fish, salmon, cod liver oil, and mackerel). Reprinted with permission from Akanksha Srivastava. Originally printed on healthrewardz.com. Akanksha Srivastava is a Nutritionist, content writer & a food blogger. She is a life member of the Nutrition Society of India (LM No. LM-2018-0284). Her blog, healthrewardz.com, is not just a hub of information which imparts views on health & nutrition related topics backed with scientific research papers, but a journey where everyone associated is a part of an endeavor through educative article beyond health. 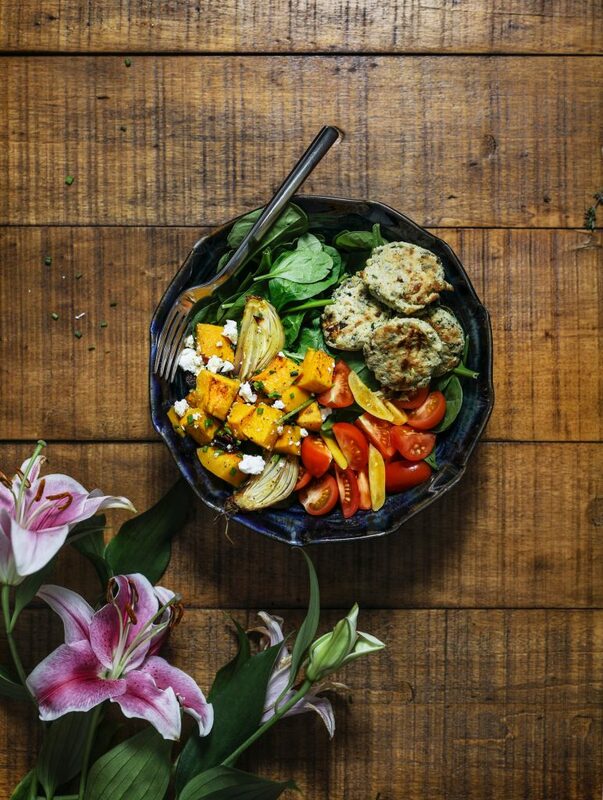 With a significant focus on the holistic approach to health and well-being, her blog successfully forays into empowering people with healthy eating behavior. Myth#1: A Gluten-Free Diet is Healthier. What it is: Diet that excludes gluten content in food. Gluten is a wheat protein. Fact: Replace gluten-free diet with a Low-Gluten Diet with High Fiber as a better alternative. A recent study (1) suggested a low-gluten diet with high fiber has a beneficial health effect on our microbiome (gut bacteria composition in the intestine) that improves healthy gut bacteria. These changes in intestinal function alleviate bloating. Research (2) suggests that there is modest weight loss with both low-gluten, high fiber diet over a high-gluten diet. Mostly, a gluten-free diet available in the market is deprived of fiber and nutritional content. Nutritional composition of a gluten-free diet can be enhanced when it is high fiber enriched and minimally processed, for those who prefer a low-gluten diet. My Advice: Check for gluten-free ingredients carefully. Myth#2: It is healthy to lose weight with the low carbohydrate diet. Sugar is a bad carbohydrate and fiber is a good carbohydrate present in whole grains and oats, says Professor Jim, University of Otago. Therefore by cutting carbohydrates from your diet, you are also cutting down fiber that affects your health in the long-term. High carbohydrate diet is good if it’s high in fiber, as it has protective effects on heart and gut. As WHO explains, a diet high in fiber (whole grain pasta), nuts and pulses will cut down chances of heart disease and aids healthy weight loss. Tip: Dividing the number of carbohydrate per serving by number of grams of fiber can give you insight for good carbohydrate foods. Cut down on added sugars, processed foods, and carbonated drinks. Add minimally processed foods in your diet. Try quinoa, amaranth, farro, millet in addition to brown rice and whole wheat products. Fact: As per various studies, it has been proven that fat isn’t always the culprit when it comes to extra inches around your waistline. It’s good to stay away from fried and processed foods as they are high in trans fat. Trans fat is found in foods cooked in partially hydrogenated oil (a type of “bad fat”). Such a diet increases your risk factor for developing cardiac disease by 12%, according to a study published in the British Medical Journal. Take note of the good fats that improve health and aids in weight loss. Good fats include: Healthy fats such as polyunsaturated fat (PUFA) and monounsaturated fats (MUFA) — they help lower bad LDL cholesterol and improve good HDL cholesterol. Polyunsaturated fats include vegetable oils, omega-3 fatty acids found in fish, nuts and seeds. Monounsaturated fats include avocado, plant origin oils like canola oil, olive oil. Add healthy nuts and seeds rich in good fats (MUFA and PUFA) to your diet to improve heart health, lower inflammation, maintain healthy skin and hair. Fact: Juicing is not the right way to lose weight long-term, says Amy Gorin, MS, RDN. Relying on juices depletes you from protein and healthy fats required by your body for proper functioning. Even 100% fruit juice adds more calories to your meal, along with other sweetened beverages. A 2011 Harvard study explains, sugar-sweetened beverages are linked to long-term weight gain, therefore stick to not more than one small glass of juice a day. Juices fill you with only carbohydrates that are easily digested, making you feel hungry again. Whereas, protein and healthy fats keep you full for a longer duration and delays hunger. People include a lot of sugar-sweetened drinks in their diet. According to a study consumption of sugar-sweetened beverages is about 63% in children and 49% in adults. This forms the major source of added sugar that provides calories without nutrients. It is recommended to eat a well-balanced diet that comprises of fruits and vegetables, whole grains, healthy fats, along with non-sweetened beverages. Good protein like salmon and chickpeas are great picks. 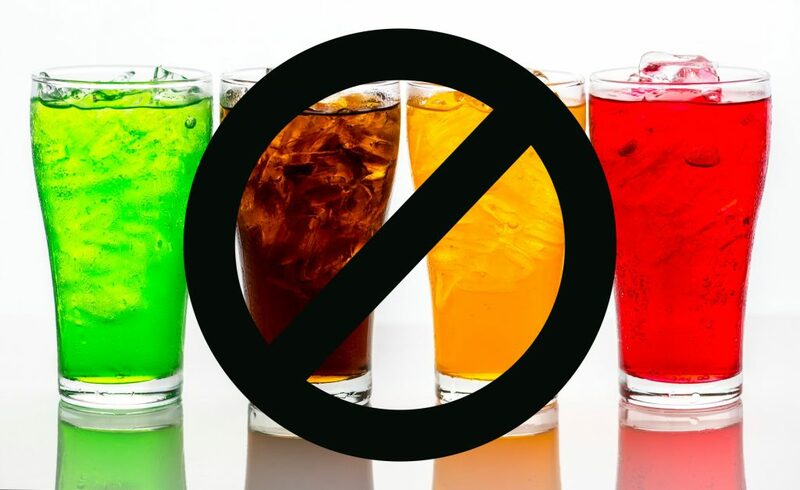 Also avoid foods that add empty calories and no nutrition, such as alcohol, fizzy drinks etc. Eat food as a whole, rather than liquid form, as it leaves you much fuller. Simple fruit juices are loaded with sugars and high in calories. One bottle of cola has 200 calories, and one cup of apple juice is around 115 calories. One can of beer has 154 calories with no significant nutrition content. Fact: Focus on what works — healthy eating behavior to maintain a healthy weight. Why dieting doesn’t work? It is an outdated and ineffective approach to weight loss. If you want to be healthy, you need to get of this relic and find a new approach! Dieting posses little significance today, as calorie restriction leads to undernourishment and calorie-dense but nutrient deficient food leads to malnourishment. Time is the key: It’s good to change your eating pattern rather foods. A study says to eat within a 12-hour window to let your body perform repair and regenerative activities at night. This process works within the biological clock of 24 hours. For example, if you eat breakfast at 8:00am, then eat your dinner before 8:00pm. This helps your body overcome inflammation and disease. My advice: Cook your meals more often at home. This will help you develop a healthy relationship with your food. You’ll enjoy the taste, flavors, aroma of your meal more than counting each calorie!